Making the goldweight book has eaten up all writing time. Brain stopped play. 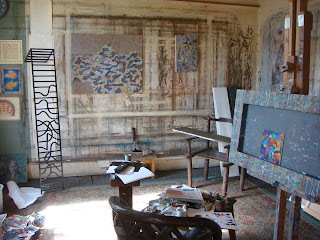 Normal service will be now resumed... here an interim shot of studio with surprise railings, of which more anon. Nice to know about Goldweight book..